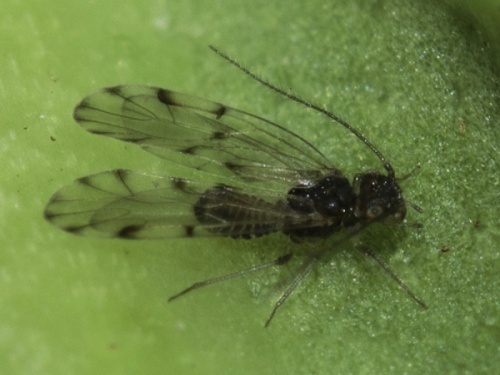 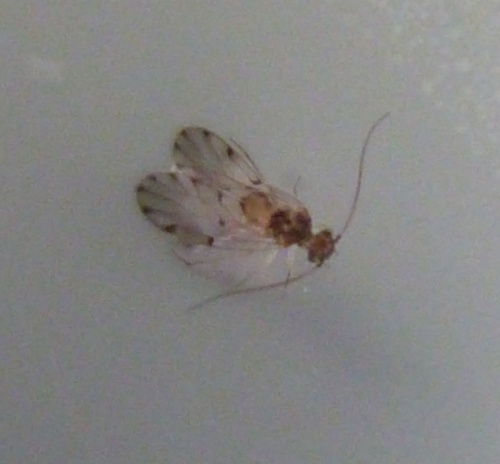 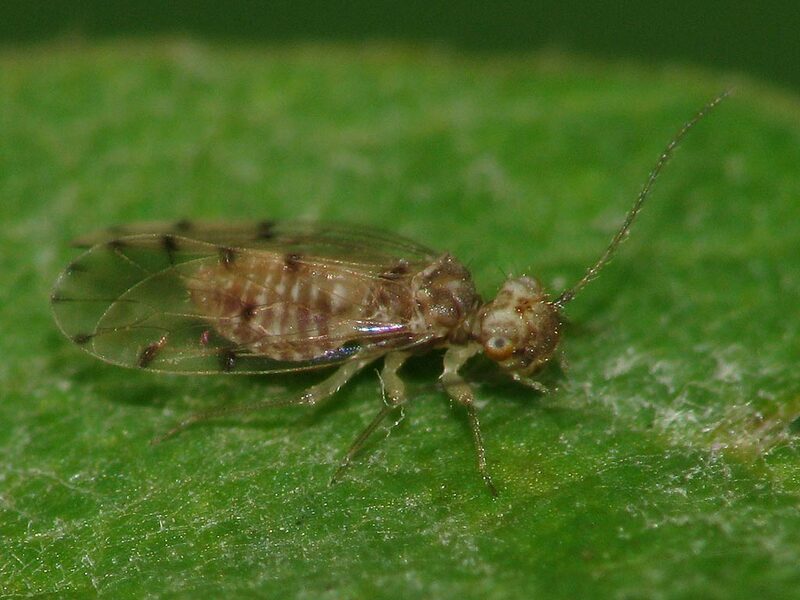 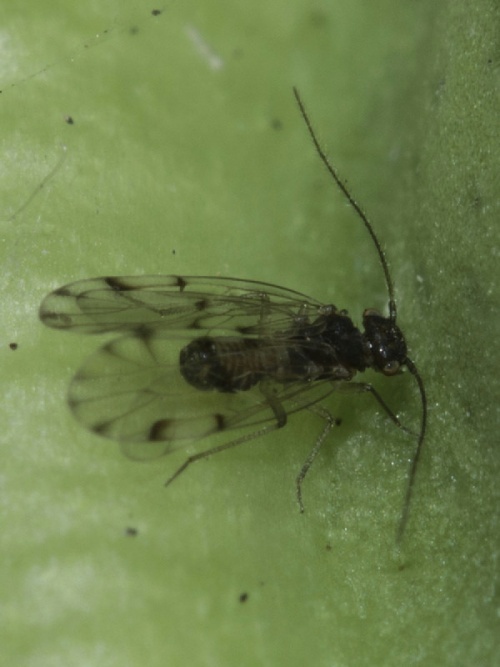 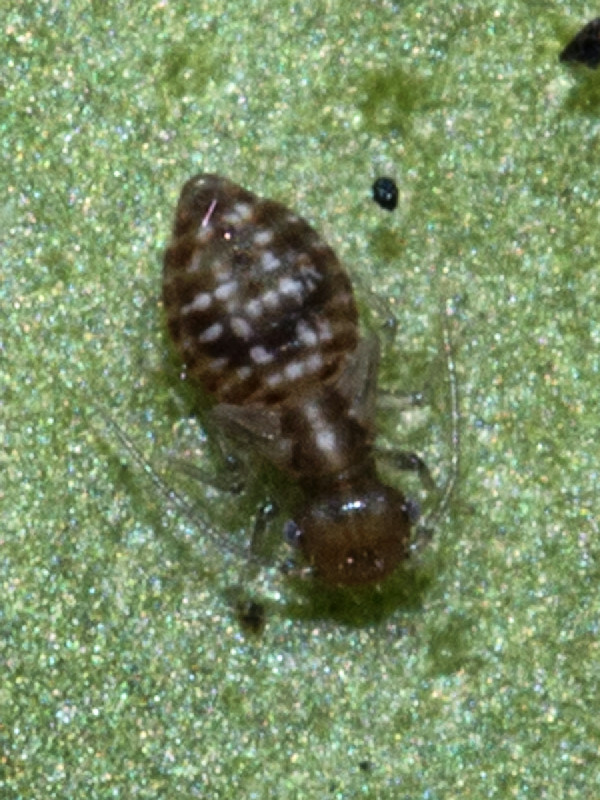 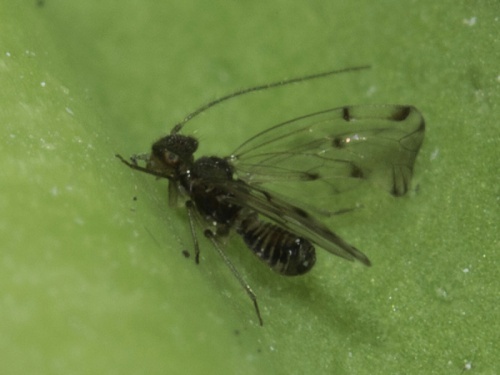 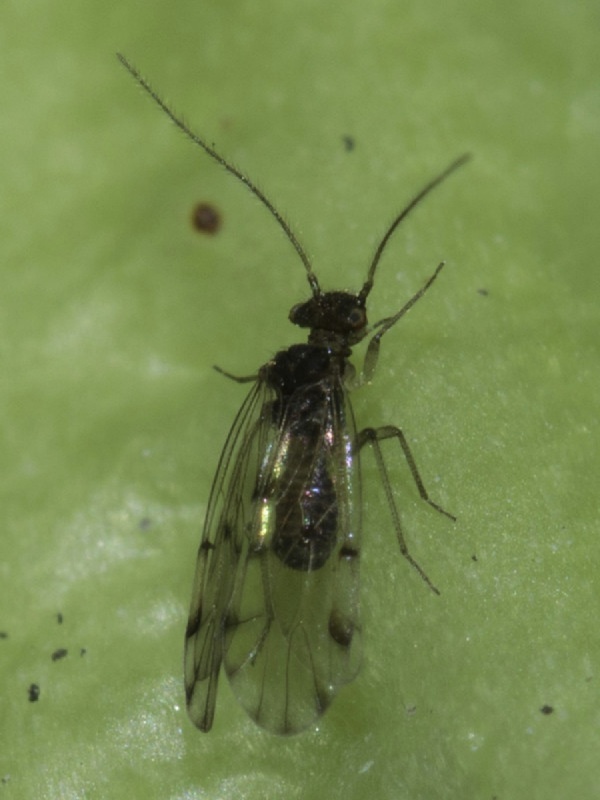 Small (1.5 to 2 mm) with conspicuous dark spots on forewings. 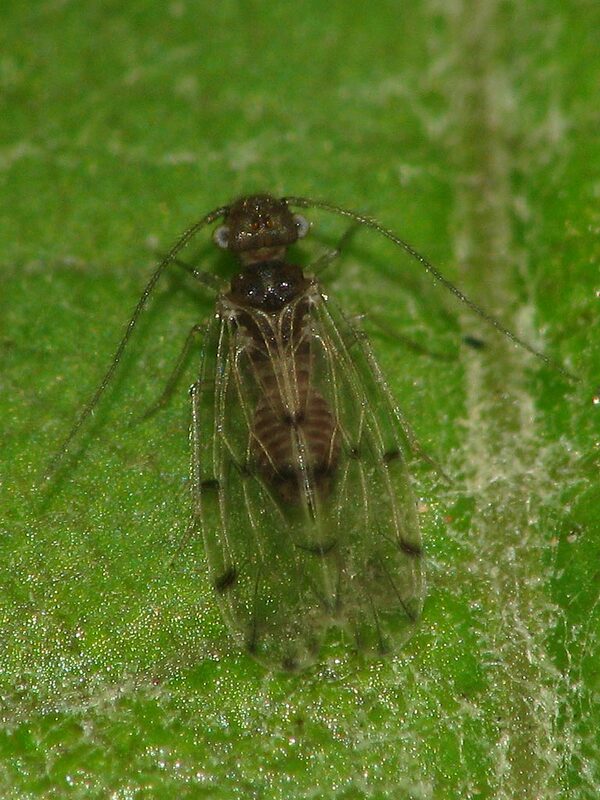 Males always have wings longer than abdomen (macropterous) but females occur in both long and short-winged (brachypterous) forms. 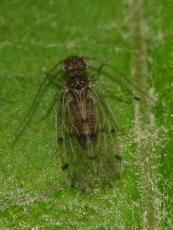 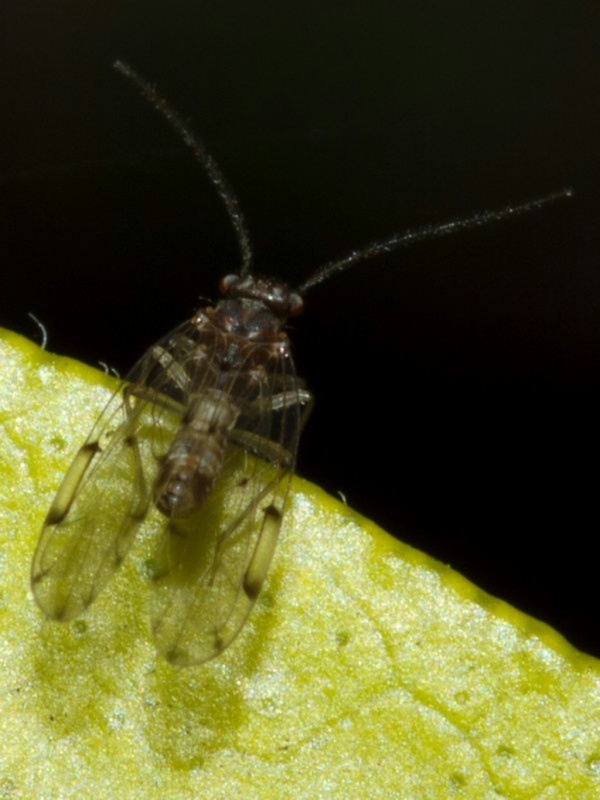 Found on very wide range of trees, shrubs and various other microhabitats.